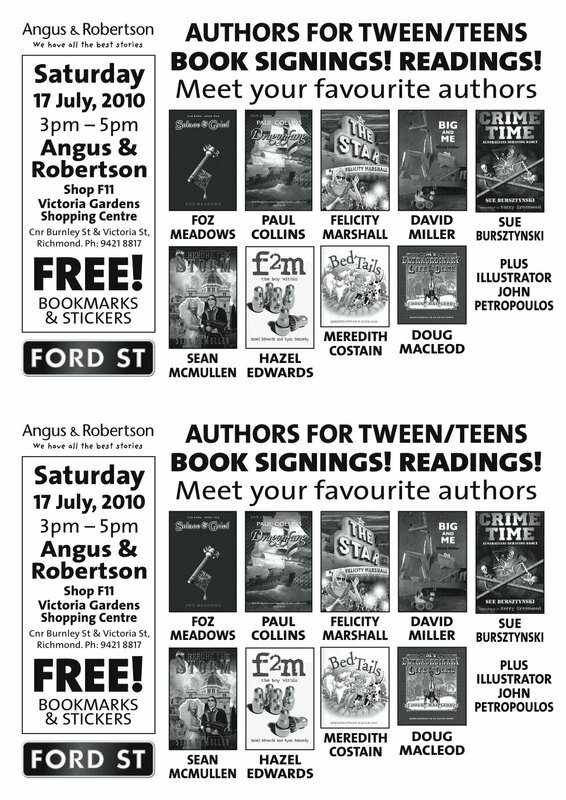 If you're in or around Melbourne this month, don't miss these events from Ford St Publishing. 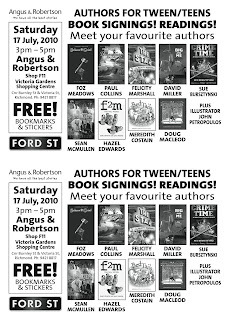 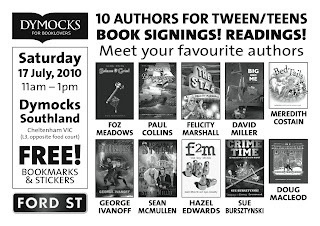 On Saturday, July 17th, several Ford St authors will appear at Dymocks, Southland, from 11am to 1pm AND Angus and Robertson, Victoria Gardens, from 3pm to 5pm. 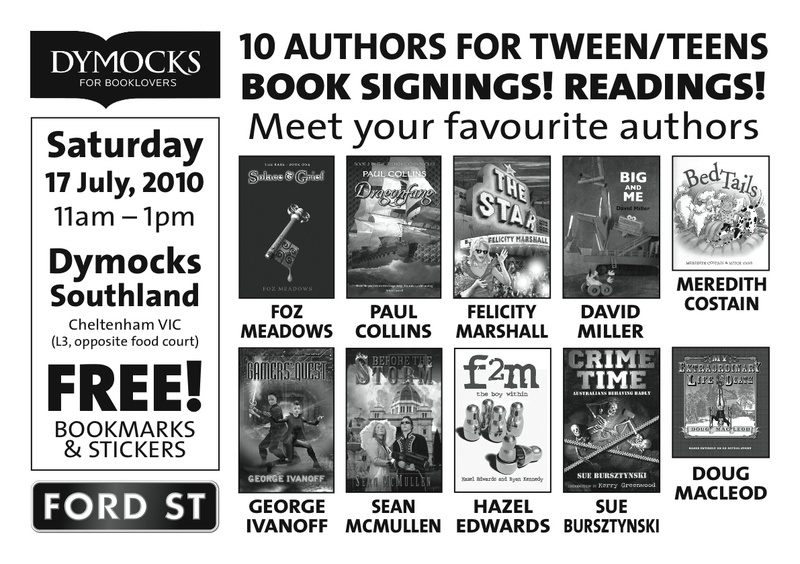 Authors appearing - signing books and reading - include Foz Meadows, Doug MacLeod, Paul Collins, Felicity Marshall, David Miller and more!